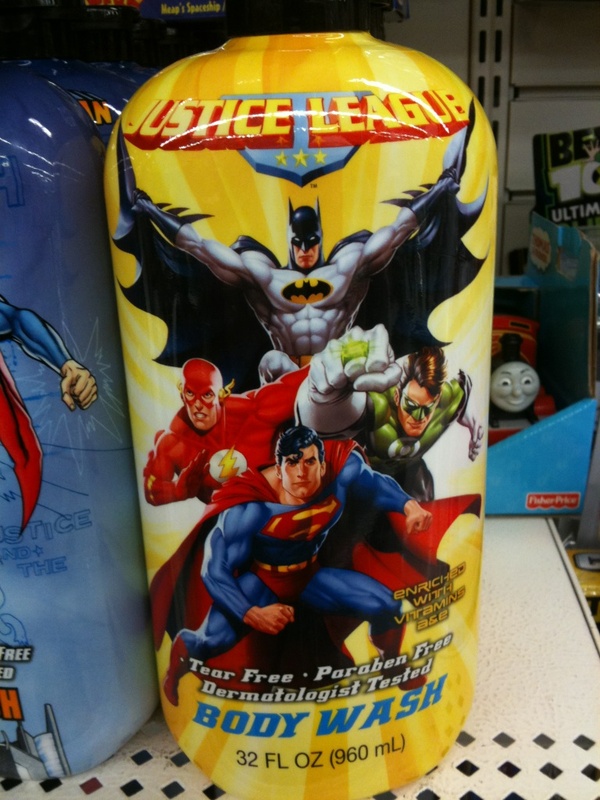 Could anyone tell me what’s missing from this otherwise exquisite bottle of Justice League body wash? I guess, from the fact there is no female pictured in this group, that the body wash is meant for boys only. Which is confusing. It doesn’t actually say that anywhere on the bottle, that it’s intended for boys. I guess we’re just supposed to gather that from the picture. Again, it makes no sense. And now that I think about it, is there a scent out there that’s specifically made for boys soaps? What is it? Oh well. On the bright side, at least it’s paraben free. Disney Princesses for the rest of us. This entry was posted on 11/08/2011 by ravenhaired. It was filed under Uncategorized and was tagged with Boys' Club Only, DC, Justice League.